A new cyber attack named “wanna cry” caused havoc around the world where businesses lost revenue, productivity and some even lost their data in its entirety. This malicious code locked computer files and asked end-users to pay up ransom to unlock their files. This virus can easily spread from one computer to another residing on the same network. This makes you rethink your overall IT Service model. This makes one wonder how much is your data worth to you? Are the computers on your network constantly being managed with all the security policies, updates, anti-virus, anti-spyware software to make sure that you are protected? Do you have a reliable IT company like AMS Networks keeping an eye out on monitoring and management of your IT service model, so you can do what you do best – getting back to running your business? According to Microsoft, the recent wanna cry worm targets out-of-date systems. Do you have safeguards and processes in place to constantly monitor and keep everything up to date? The IT industry has seen numerous changes over the last years. Businesses have endured all manner of innovations. Nowadays, businesses do not need to spend hourly to have issues on their platforms crosschecked by an individual. Such responsibility has been forwarded to MSPs (Managed IT Service Providers). The need for MSPs is as great as that of cloud computing technologies in businesses. Very few businesses still contact providers on site to address emergencies. Reach out to us and see how we can help you support IT service model in Virginia, Maryland and DC. AMS Networks is a one-stop shop for all of your IT needs to include: network support, server support, phone and VOIP, backups, end-user support and much more. 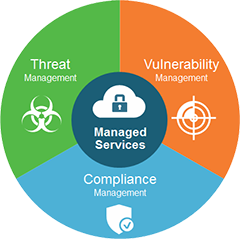 By having an experienced managed IT services provider like AMS Networks, you can rest assure that you are in good hands. Call us today at 703-662-5800 or fill our contact form and one of our engineers can guide through the services we offer to our customers!